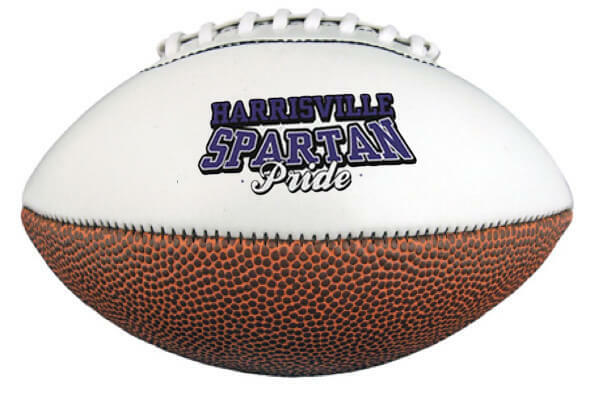 Synthetic leather footballs with white autograph panels feature a re-inflatable athletic valve. Imprint Area 3 1/2" W x 1 3/4" H OR 2" diameter. Full Color Imprint: 3 1/2" H x 1 3/4" H OR 2 1/4" diameter. The footballs were a big hit, so much so I want to get a duplicate order.